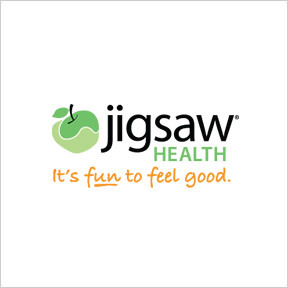 Located in Scottsdale, Arizona, Jigsaw Health® was founded by Pat Sullivan and his son Pat Sullivan, Jr., in response to a desire to piece together solutions to their own chronic health puzzles. Widely recognized as a pioneer and visionary, the Sullivan’s motivation stemmed from a deep seated belief that every effect must have a cause. Jigsaw Health® is devoted to researching the underlying physiologic disturbances that result in chronic illness. The company philosophy remains to develop whole body health solutions rather than take a conventional pharmaceutical approach to chronic conditions. Their premium quality, scientifically formulated, potent supplements are manufactured with bioavailable, highly absorbable nutrients designed to make a noticeable difference in individual health challenges. All products are manufactured in the U.S. under National Science Foundation (NSF) and current Good Manufacturing Processes (cGMP) strict guidelines, assuring adherence in all aspects of development, production, testing, bottling and labeling. Each formulation is based on stringent scientific research and is designed, selected and approved by a team of nutritionists, physicians and researchers, all experts in the field of nutritional supplementation. All product ingredients are tested before and after manufacturing to ensure safety and proven efficacy. Products are free of preservatives and non-essential additives, as well as artificial colors and flavorings. MagSRT®: This highly effective, synergistic, clinically tested formula provides high potency, bioavailable premium organic magnesium malate delivered in a proprietary sustained release form to avoid intestinal discomfort. MagSRT® is formulated to achieve healthy magnesium levels in support of energy production, restful sleep, healthy muscle function, digestion and regularity, as well as a healthy stress response. Gluten, soy, and yeast free, Non-GMO vegan formulation. Essential Blend Multi Mineral: These easy-to-swallow, fast-acting caplets provide beneficial levels of highly absorbable chelated minerals in support of overall health and function and the maintenance of all bodily systems. Heavy metal tested. Yeast and preservative free. Electrolyte Supreme™ Berry-Licious: This broad spectrum synergistic powdered formula provides electrolytes, minerals and vitamins in active bioavailable forms in support of enhanced hydration, energy production, healthy muscle function, proper fluid balance and more. Gluten free, stevia sweetened, flavored with cranberry and blueberry. Non-GMO formulation. Lemon Lime flavor also available. Adrenal Cocktail™: This unique supplement is designed to support healthy adrenal function and hormone production. Formulated with whole food vitamin C, potassium bicarbonate and Redmond’s Real Salt®, ingredients that are needed for optimal sodium balance and proper cortisol levels. No additional ingredients. Gluten and soy free, Non-GMO vegan formulation.